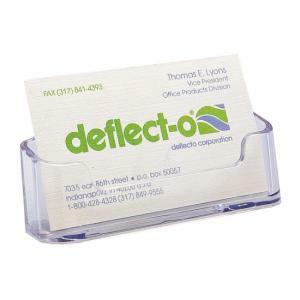 Business card holder is ideal for desktops and counters where customers and clients need easy access. Low-profile card holder is made of durable, clear plastic for full visibility. Single compartment holds approximately 50 cards.